Not only that, it starts talking to me. Quilt As You Go (QAYG) allows me to create large while working small. 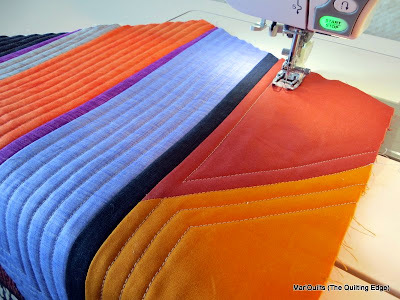 Quilting these angles is a easy when working in small sections. The darn things DO talk to me, too. I start out with a certain quilt in mind, and end up with something completely different. 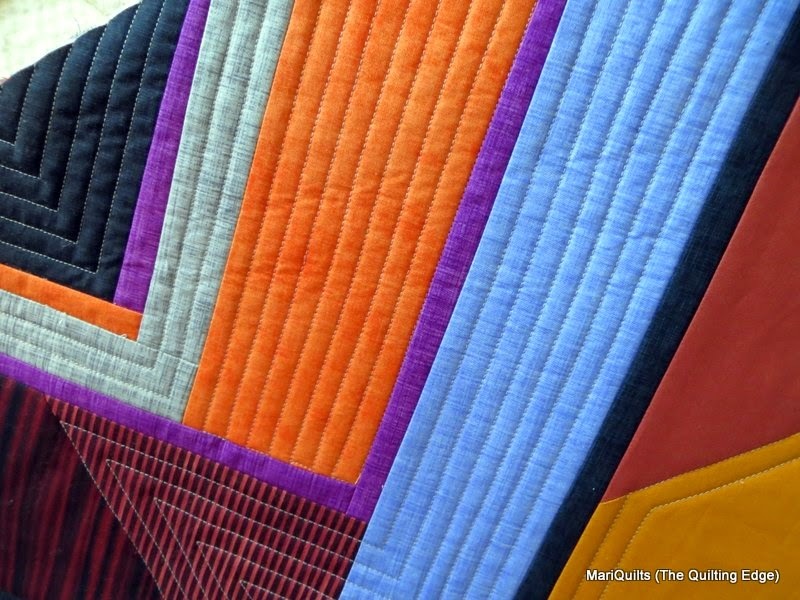 The quilt will develop and move in a new direction as it is constructed. You have to let the quilt go along the new path it wants to take. Sounds crazy, I know :^) but it's true. 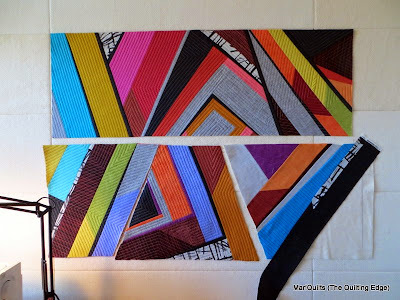 Love the linear quilting and the bold colors of your quilt. The addition of the black makes it perfect. Yes, but often it's an exhilarating ride! 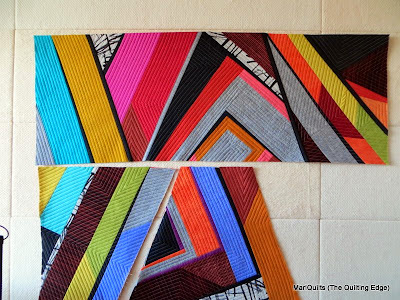 It is beautiful and fun, clearly you are having fun with this quilt. I am always interested in the colours you pick and your restrained use of patterns. Love your quilts and your technique. Always love seeing what you're up to next. These angles are great. It looks like a nice conversation! Beautiful! I love what it's saying to you because this is a wonderful work of art!! Glad you listen! They do have voices all their own, don't they! Looking fabulous! Listening to our work as it evolves is a sign of a true artist. Thank you for always being such a great inspiration!